Being a customer oriented enterprise, we are engaged in providing a wide array of Busbar Support Insulator. Being a noteworthy business enterprise, we are readily indulged in presenting to our customers Bus Bar Insulator. Adarsha Control And Automation Pvt. Ltd.
We provide 5 mm end support. These end supports are being manufactured as per the industrial standards to ensure their high quality and durability. To assure high quality, we also test them on various parameters before the dispatching of the consignments. Due to the support of our diligent workforce, we are presenting a huge assortment of Bus Bar Insulator to our customers. Our Bus Bar Insulator is available in variety of sizes and simple to fit. These insulators are corrosion resistant and highly reliable at the same time. 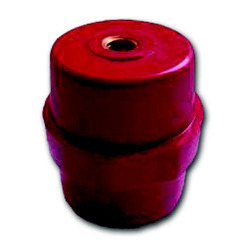 Our company is highly instrumental in offering the most sought after range of L Shape Support Insulators. We are offering Busbar Support Insulator to our client. 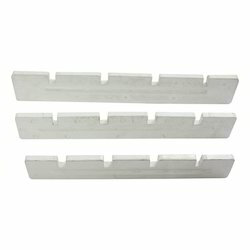 The Epoxy Busbar Insulation gives Better Electrical Insulation & High Mechanical Strengths.